Pre-Ceremony music: Your guests will usually be seated 10-15 minutes before your ceremony. As they filter in and sit down I’ll play some acoustic music to set the ambience, in preparation for the big moment! I choose a selection of relaxed music, which may include both instrumental and vocal music. For many ceremonies it’s a requirement that there’s no religious content in the lyrics, so I only use songs that adhere to this. 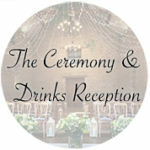 The Drinks Reception: Immediately after the ceremony, there’s usually a gap of 90 minutes or a couple of hours where drinks and canapés are served. This is a time when guests mingle and chat, and photographs are taken while the wedding venue prepare to serve the wedding breakfast. At this point I’ll play a couple of acoustic sets. You choose the songs to reflect what atmosphere you want to set… relaxed, fun, upbeat, it’s up to you! Or just let me know what sort of vibe you want, and I’ll use my experience to tailor the songs to fit. This will usually be approximately 2 x 45 minute sets, but if I can I’ll squeeze in more! Start to finish of the musical performance should not span more than 3 hours. For example: 1:45pm – guests gather and music begins, 2pm – ceremony begins, 4:45pm drinks reception music ends. If the duration is longer than 3 hours, please contact me for a quote. For outdoor performances, the weather must be set fair and ideally there should be overhead cover for me, even on sunny days. I’ll always try my best to play outdoors where possible, but if there’s any chance of rain I’ll have to set up inside – electrical equipment and rain don’t mix! Travel within 20 miles of Bristol BS5 is included. For travel charges click here. 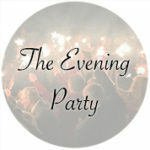 The evening music package includes 2 live acoustic sets, usually featuring upbeat, well known songs – but as always, you can tailor the music to fit your occasion. So you may wish to have the first set a little more chilled (this could be while evening guests are arriving), then the second set more upbeat to get people up and dancing. The sets will last between 50 minutes and an hour each, which is roughly 15/16 songs per set. I use my loop pedal more in the evening, building up layers and creating a big sound on stage! Between sets I’ll take a break of around half an hour – if you’re having evening food served, this can be a great time to do it. If food is served during the live music, unfortunately the dance floor has a tendency to empty pretty quickly! During my break I’ll put on a playlist of music through my PA system. If you’re having a first dance, you can also choose to have me play your song live and acoustic. Having a stripped back version of your chosen song can be a lovely, intimate way to start off the evening. Start to finish of the performance should not span more than 2.5 hours. For example: 8-9pm – first acoustic set, 9-9.30pm – break, 9.30-10.30pm – second acoustic set. If the duration required is longer than this, please contact me for a quote. You can make up to three non-repertoire special requests with this option. 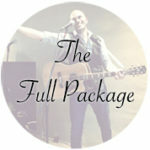 The full package combines both the above options, so this includes music at the wedding ceremony and drinks reception to follow, then two live sets during the evening (read above for full details). The full package finishes at 10pm latest, so if you need music afterwards you’ll need to make arrangements for this. Most venues will have some kind of in-house system that you can use to put your own playlist on, or you could look into hiring a DJ or band to follow my performance. I also offer a “mini-DJ” option which can be added on if you’d like me to look after the music for the rest of the evening. As I’ll be at your venue all day, food is very welcome if you’re able to provide this – but don’t worry if not! Just let me know if it’s not possible and I’ll make sure to bring my own on the day. The final evening performance should be finished no later than 10pm. Later events will incur an extra charge. Up to five non-repertoire special requests can be made. A wireless microphone can be supplied for use during the speeches for £25. If multiple locations are involved, there may be an extra set-up charge. Pre-Ceremony: 10-15 minutes of live music as guests are seated to the ceremony. Up to two non-repertoire special requests. 2 live acoustic sets, roughly 45 minutes each – in a typical wedding schedule this will fill the space between the ceremony finishing and the wedding breakfast beginning. Depending on how long this is, I’ll take a break between sets, during which I’ll play some recorded music through the PA system. You can choose all the songs for the live sets from the extensive repertoire, or leave me to put together a tried-and-tested setlist! One live acoustic set, lasting approximately 60 minutes. The option to have your first dance song played live and acoustic – a special and personal moment to begin your evening celebrations! Create the atmosphere you want by selecting your own songs… laid back and relaxed, fun and upbeat, or somewhere in the middle, it’s your choice! Choose music from the extensive repertoire, and up to two non-repertoire special requests. Your choice of songs from the extensive repertoire. Please note, this can not be added on to the full day package. As a solo performer it is unfortunately too much of a strain to play during all parts of the day! This is not a replacement for a full dedicated wedding DJ service. I do not bring disco lighting, and will not have as many songs available to play. It is more suited to smaller venues/gatherings. Some bookings may require me to seek overnight accommodation – for example, where travel time is substantial, and an early start or late finish is involved. On these occasions, I will factor in a minimum accommodation cost of £100, plus an extra charge due to the time involved. Please contact me for further information.